Jasmine green tea has many health benefits such as boost immunity, improves digestion, reduced the risk of heart attacks, prevents cancer, eliminate harmful bacteria. Most of you might have come across this name, but still many of you might not be aware of what jasmine tea is and its benefits. Well, this article will explain you the benefits of jasmine tea in many aspects. If you’re still wondering how to make this mysteriously beneficial tea then let go of your worries, we will look into the making of jasmine tea step by step in detail. What Makes Jasmine Green Tea So Special? How To Make Jasmine Green Tea? Jasmine tea is brewed by adding some jasmine blossoms along with green tea leaves. The jasmine blossoms add a unique scent and taste to the tea. So basically it’s a green tea with a few jasmine blossoms. However, while selecting the jasmine leaves, make sure you chose a high-quality one. How to spot a high-quality jasmine? Well, you have to look mainly for two things. Make sure the flower’s scent is pleasant and not overpowering. If the smell is too much, then it’s probably because they have been artificially spiked to attract customers. Make sure the jasmine green tea leaves are made from young tea buds because these have the highest nutrition content which is the whole package of the health benefit. Well, for starters who hates to drink green tea because of its taste this jasmine green tea serves as a good alternative. In addition to that, the tea provides a lot of health benefits when compared to green tea. 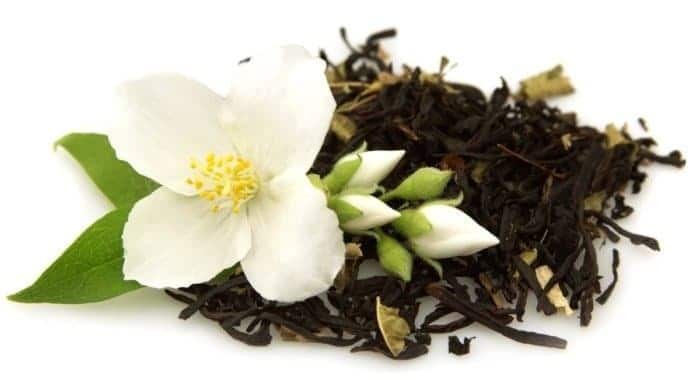 The benefits to our overall health come from the nutritional elements in the organic tea buds themselves.The green leaves are not the only base for this jasmine tea, but it can be brewed along with black or white tea also. For dieter’s attention if you feel like you are starting to hate the green tea because of its taste, then try the jasmine tea which is both good for your diet routine and also tastes good. Let’s take a look at how this magical tea is good for your health. Yes, that’s right. Jasmine green tea is found to be effective regarding cancer prevention. It contains polyphenols, like epigallocatechin gallate (EGCG). In other words, these polyphenols are prone to build the immune system in our body which prevents our body from harmful diseases like cancer. The reports from University of Mary Land Medical Center has scientifically proved that people who consume Jasmine tea a lot per day have been shown to less likely develop liver cancer. In addition to that green or jasmine tea helps to prevent our body from different types of cancers like the bladder, breast, lung, stomach cancers and much more. Awesome right? All you have to do is make sure you take a sip of this aroma filled tea to prevent your body from cancer. Dieters, this is for your attention. Most of us already know that jasmine/green tea can be used to reduce our body fat as it has high polyphenol content. The extract can allow our body to boost its metabolism and the catechin content can burn more fat. The tea’s taste and flavor come naturally from the jasmine blossoms that there will be no need to add sugar to it. So, when you are skipping the sugar in your tea that itself solves most of your problems. Now, carbohydrates are one less thing to worry about. Make sure you add this tea to your diet plan if not done already. For Tea addicts like me, if possible, try to replace your daily usual tea routine with green or jasmine tea. By consuming, jasmine/green tea one can prevent the risk of getting diabetes, which is also scientifically proven. Not only it helps in diabetes prevention, but also it helps in regulation for those who are already suffering from diabetes. This tea has the unique ability to metabolize the glucose content in our body which is a boon for diabetic patients. Moreover, as mentioned earlier the jasmine tea is naturally flavored which does not require adding sugar to it. For diabetic control, the jasmine tea can be consumed as a replacement for the ordinary tea. Drinking the jasmine tea not only reduces stress but also provides a stronger immune system which helps us to pay more attention. The jasmine aroma is said to calm our senses and helps us to relax when consumed. Our body releases certain chemicals which can help us to naturally relax and in improving our mood. For people who work late nights and the weekends, this is another reason to start taking jasmine tea. This is one of the lesser known health benefits of consuming jasmine tea. The jasmine oil which flavors the tea can provide defense against some antibacterial infections. The Jasmine Tea is said to be an effective enemy to Escherichia coli, which is a dangerous bacteria found in many roadside junk foods. In addition to that, jasmine tea serves as an excellent alternative in place of syrups used for a cough and throat infections. 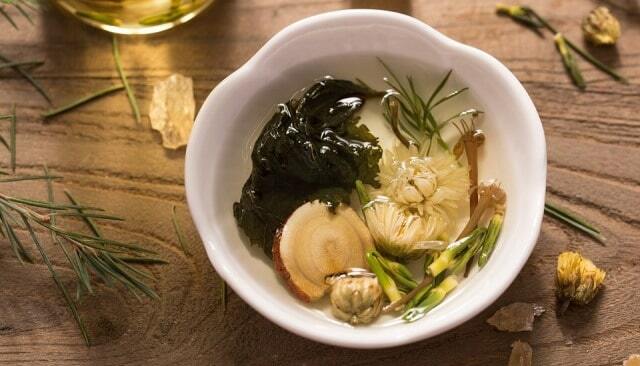 The jasmine tea is a well known for its prevention against cardiovascular diseases. The catechins in this tea will help you keep the cholesterol content low in your body. It fights the excessive amount of bad cholesterol from our body which means the risk of getting a heart attack decreases. In addition to removing all the bad cholesterol from the body, the jasmine tea is scientifically proven to be very helpful in blood circulation. This reduces the risk of causing blood clots in the veins which can lead to severe brain damage. To be precise, the jasmine tea can help slow down the aging. 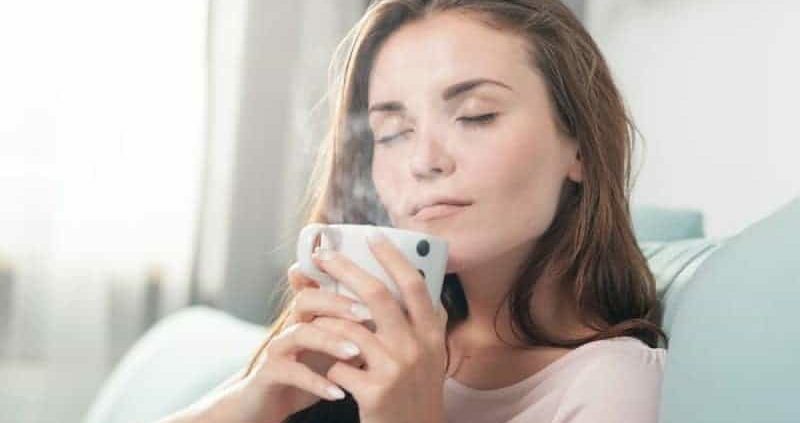 As said the tea is good for blood circulation, and when blood flow is stable our skin would also be young and free from any infection which ultimately reduces wrinkles in the face. This can only be achieved if regularly intake which makes it worth to be added to your diet plan. Jasmine tea is quite simple to prepare. But sometimes the tea can become bitter if steeped too long. Here is a step by step instruction oh how to brew the best jasmine tea. a. Fill the bowl with hot water to preheat it. After sometimes tilt the vessel so that water would creep to the sides of the bowl and then pour the water out. b. Now, place a slightly less than one teaspoon amount of tea leaves in the pot. c. Fill the bowl with hot water. The pot should be almost full say about 80% and the temperature of the water should be below boiling point at about 80 degrees Celsius. d. The only thing left for you to do is place some lid on the bowl and let the tea steep for about 2 minutes. And that’s all; your jasmine tea is ready to be served. Sometimes, the tea might be too weak. In that case, add more tea leaves. And if you find the drink to be too strong do the exact opposite by reducing the number of tea leaves added. This tea is prepared with water under lower temperature. If you find the drink to be bitter, then try to lower the heat of the water in which you are brewing. As beneficial as it may be, the jasmine green tea also has some health risks or side effects which should also be taken into account before consuming it. The strong odors of jasmine are not recommended during pregnancy. There have been reports where consuming jasmine oil can cause a premature contraction in pregnant women. So, pregnant women can either remove this jasmine tea from their routine if not already done or they can check with their doctors once before consuming. Jasmine green tea is also a source of caffeine which can affect people in different ways. Some people are susceptible to caffeine when taken in large doses. Such people should consult with their doctors before taking jasmine tea. Alternatively, there is caffeine less jasmine tea available which can be used instead of the regular one. During dieting, some tend to consume jasmine green tea in empty stomach in the early morning. But jasmine tea has got a lot of acid content in it which can cause some intestinal pain or discomfort sometimes. Though Jasmine Tea is a powerful medicine it’s not considered as an “Herbal Tea” due to its caffeine content. Every medication has some side effects so make sure you consult your doctor before starting to consume the Jasmine Tea. Stay Fit, Healthy and Cancer Free with the Jasmine Tea.